Adrian Crișan acquires DO&DO Company Ltd. and changes its ownership in 1995. Shortly after and mostly due to the partnership with the opulent American chain 3M, DO&DO Company is able to conclude contracts with large companies such as Romtelecom and Renel, delivering both fiber-optic and copper cable network accessories for their benefit. Three years later, DO&DO Company secures its partnership with 3M and sets up a new one, with the Japanese MNC Fujitsu, the world’s second-largest IT services provider, next to IBM. The year 1998 represents an important moment in the development of DO&DO Company, mainly thanks to the launching of the application of special flooring systems, in view of the approximately 50.000 sq m of PVC ESD floors applied throughout the country. Along the side of 3M, Tarkett, Gerflor and DLW Armstrong, DO&DO Company has applied between 1998 and 2003 some more than 200.000 sq m of flooring systems for a number of major investors. The applied flooring systems were resistant to heavy traffic and presented electrostatic discharge properties. The year 2003 brings up another important partnership, and this time with Sika, the Swiss global market leader in the sector of chemical based products for construction and industry. By means of the materials it produces, Sika manages to thoroughly cover the entire range of synthetic flooring systems, using the epoxy resin, the polyurethane and the methacrylate technology. Additionally, the products cover up all the industrial application branches (e.g. the food industry, the manufacturing sector, the electronics industry, the Clean Rooms), as well as the areas with extreme resistance requirements to chemical aggression and to both thermal and mechanical shocks. Moreover, the entire range of Sika flooring products enjoys some constant research and development provided by the German, Swiss, French, Italian, Dutch and the English chemists and physicians. This way, the Sika flooring systems respond to the most demanding utilization requirements. In the wake of the partnership, DO&DO Company becomes an authorized applicator of Sika’s resin based flooring systems. Thus and so, DO&DO Company manages to improve its own segment of synthetic flooring to such an extent that it becomes the company’s primary activity. Further on and beside Sika Romania, DO&DO Company has succeeded in applying more than 500.000 sq m of resin based flooring systems across the entire country, from the North to the South and from the East to the West. Thus and so, the application of synthetic flooring systems represents the main activity of the company, currently comprising over 85% of the company’s turnover. On one side, DO&DO Company is pleased of the extensive partnership with Sika Romania in matters of synthetic flooring systems. On the other side, the array of materials together with the desire to satisfy our customers encourages us towards partnerships with key European suppliers in matters of PVC flooring systems, such as Tarkett, Gerflor, Forbo, Grabo, DLW-Armstrong, VPI, 3M. DO&DO Company prioritized the acquisition of modern, high-tech equipment for the preparation of the substrate (provided by Blastrac, a world leader in the substrate preparation technology) with the purpose of extending the customer relationships and increasing the competitiveness in relation to the competition, having thus managed to refine the quality-price ratio. Along these lines, the constant technical rigging together with the training of our specialized personnel have made it possible for us to carry out a number of complex projects, which expand to surfaces larger than 1.000.000 sq m in a wide range of industries such as the automotive, the electronics, the food, the pharmaceutical and textile industries, to which are added a significant number of industrial halls and supermarkets. One of the company’s strength points is represented by its 15 employees with an experience of over 10 years in the field of the industrial flooring application. They manage to fine tune every project into an honour for our company and to strengthen the partnerships of the company with the beneficiaries, whose cooperation has always been and continues to be a stable one. DO&DO Company applies the following types of flooring systems: industrial synthetic flooring, traffic resistant PVC flooring, traffic resistant carpet flooring and access flooring. Please find this fine example, which takes us back to 2010 and 2011, when DO&DO Company has applied three types of flooring systems, altogether for Premium AEROTEC (producer of aircraft components) in Brașov, Romania. Three distinct types of synthetic flooring systems, a traffic resistant PVC flooring system and a traffic resistant carpet flooring system have been applied in that event. More exactly, a total of 2500 sq m of traffic resistant epoxy resin flooring systems have been applied, plus some 1000 sq m of epoxy resin flooring systems highly resistant to chemical aggression and 800 sq m of epoxy resin flooring dyes. Additionally, a total of 1500 sq m of traffic resistant carpet flooring systems were applied within the office areas, while other 800 sq m of traffic resistant PVC flooring systems have been applied within the logistics areas. In compliance with the international norms, we applied the entire range of synthetic flooring, traffic resistant PVC flooring, carpet flooring and access flooring systems, all meeting the strictest standards relative to their application fields. With an experience of over 15 years in the installation of all kinds of floors, our personnel is proficient in applying any given industrial flooring system. Thanks to our utility vehicle parking space, we are able to move quickly from one place to another anywhere in Romania or abroad. One needs to have both the know-how and the technology in order to provide a wide range of services. We have them both, allowing us to offer total flooring solutions. An absolute advantage, allowing us to perform a manifold of complex projects, having ensured us a portfolio of stable and satisfied customers. You may also browse our video gallery for an in-depth view on the application process of the various types of surfaces here. Quality. The challenging times we live most often turn price into the primary engine of search. This way, price manages to rule the market and therefore it is not uncommon for quality to be compromised. We have always remained just as faithful to quality, both in the choice of the finest products to work with and in terms of our projects’ execution. It is crucial for us that everything is completed to the finest detail, for the very quality represents the pillar of strength for all of our projects. Results. Both the hard work and the effort invested into absolutely every single project of ours unravel projects completed on time, meeting the strictest quality standards. The positive ratings we receive each time we deliver a project, coupled with the satisfaction of our customers makes us treasure the work we perform and regard it with pride. Besides, the positive assessments we receive have always guided us towards a continuous development in order to effectively cope with the regular demands associated with the field of industrial flooring. Professionalism. The ongoing development together with the increases registered within our company have made us reach the much desired full growth. We have worked both laboriously and devotedly to achieve this objective, making it a priority to fulfill all of our customers’ needs. Likewise, it would not have been possible for us to strengthen the partnerships with the suppliers, nor to extend our network of customers without being true professionals. Therefore, not only do we cherish professionalism, but we consider it crucial for the proper and healthy functioning of any given activity. Efficiency. The road to efficiency coincides with achieving full growth. Often difficult or heavy, one must understand that the road to perfection cannot be achieved without a continuous development and perceived as an experiment, where a good deal of both time and passion ought to be invested first of all with the purpose of filling the gaps between theory and practice and secondly for redefining and reorganizing the working system, so as the invested time and the achieved results to be directly proportional. For us, the road to efficiency has implied an extensive process of discovery, both within the team and in terms of the materials used, the working methods practiced and the time invested. Certainly, time has arrived for us to state that we are well equipped, productive and proficient enough to face any challenge in our field of activity. Continuous development. The everyday life teaches us that we must perfect ourselves, we must be constantly more demanding and skilled enough to further increase in value and to manage to cope with the endless developments inherent to all the fields of activity. As in life, the same vision should be approached within the company, particularly when the natural desire is to achieve success. With the purpose of obtaining national and international recognition, the priorities of our company are the following: the acquisition of technical equipment, the training and the active advancement of our personnel, along with the reduction of the execution time of all of our projects, without compromising on the quality of our works. 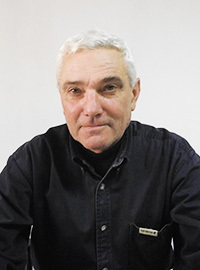 Adrian Crişan is the administrator of DO&DO Company since 2003. He graduated from the Faculty of Electrical Engineering (The Technical University of Cluj-Napoca) with a bachelor of science degree (B.S) in Electrotechnical Engineering. 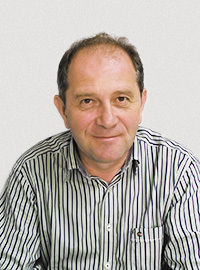 Prior to 1995, Adrian Crişan worked as a design engineer for six years at IMMUM (Mining Machines and Mechanical Equipment Company), Baia Mare. The year 1995 marks the acquisition of DO&DO Company LLC and the kickoff of Adrian’s independent activity. From that moment on, his message of determination laid the foundation for a lasting climate, him acting as a true mentor for all his employees. Adrian’s leadership abilities proved to be vital for the rhythm of a society hinging on a solid economic crisis here in Romania. Alexandru Roja is a key technical advisor of DO&DO Company, a position he has held since 2008. He graduated from The Higher Education Institute of Baia Mare, with a bachelor’s degree in Technological Electromechanics. His twenty years work experience developed relevant and consistent design skills practiced at various companies in the field such as IMMUM, Simatec and MVM International, all from Baia Mare. During his prior employment experience, Alexandru Roja has held leadership positions for Gotech (for nine years) and AC HELCOR (two years) where he organized, managed, optimized and developed the activities of both companies. His expertise in marketing and management matters, along with his extensive technical experience are enhancing Alexandru Roja’s role in the DO&DO Company team. Subsequently, his recent activities include the technical evaluation of surfaces, asset delivery technical reporting, and other significant roles in DO&DO Company’s marketing department. 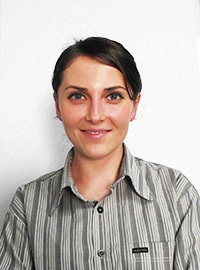 Ileana Petrea studied Economics at the North University of Baia Mare and earned a degree in Company Management. She then completed an MBA, from Babeş-Bolyai University of Cluj-Napoca specializing in Banking and Finance and Capital Markets. She joined DO&DO Company in 2006 and advanced through numerous economic positions, but also served as a manager assistant taking over a good part of the administrator’s responsibilities when needed. Once more, because of her brilliant deployment with the dealers as well as with the staff, Ileana turned out to be a valuable asset for our company. Enthusiastic and dynamic spirit that faces challenges with a rich experience in company management, Ileana Petrea is also the first advisor of Adrian Crişan, the company’s administrator. 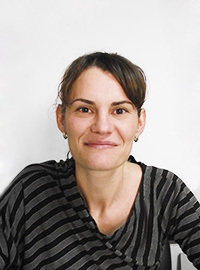 Iulia Crișan has studied International Relations and European Studies (English line) at the Faculty of European Studies (Babeș-Bolyai University) in Cluj-Napoca. She has benefited from an Erasmus scholarship and moved to The Hague (the Netherlands) for one year. Her professional background is well assorted and includes possitions such as skateshop owner (where she has managed to conduct all the affairs of the shop, between 2007 and 2009 in Baia Mare), beside some various internships in the field of Structural Funds – conducted within important companies/organizations in Cluj (IQuest and PATRIR between 2010 and 2011). Iulia has also been directly involved into a number of volunteering projects, such as the “TimeBank” project (in Romania and the Netherlands between 2012 and 2014). In 2012 she developed an important project for The World Wide Web Foundation International Organization from end to end entitled ” The Mobile Entrepreneurship Initiative “, as Project Manager. The project has been implemented around several disadvantaged parts of Africa, while the entire work has taken place in English on Skype, with different people from Europe, the United States of America and Africa. Within DO&DO Company, Iulia deals with the image and the representation of the company both nationally and internationally. Some of her specific duties include coordinating the promotional activities of the company, while her primary activity involves managing the company’s communication strategy on a medium-to long-term.